Does anyone know where I could get a stacked container/ornament for growing herbs? It is for outdoors and while I would love to purchase a stone structure, I doubt funds would stretch that far. Some cheap bowls and plates from Dunnes/Tesco and a bit of superglue? Should be easy enough to create that effect without spending a fortune. 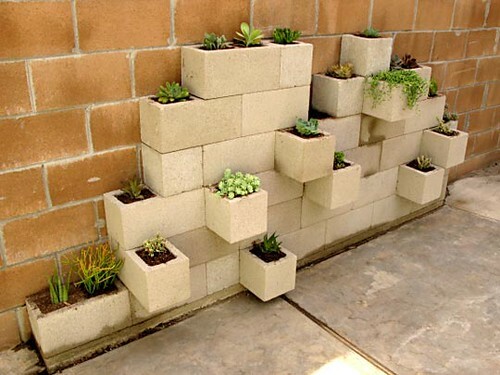 here is something you could try if you had a few cavity blocks knocking about. Would need plenty of watering though id say! At the moment, I've painted up an old cement mixer! but I'll be on the look out for bowls and blocks - those blocks look fantastic. Greenfingers has three of them priced Â£3.99, Â£7.99 and Â£29.99. Try also on Ebay and Amazon typing Strawberry or Herb planter.